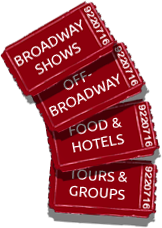 Broadway Group Sales & Discount News Plus | All Tickets Inc. The theatre offers many gifts. It’s a simple statement, direct and to the point. And it’s appropriate to make it at this time of the year. After all, it is the season to be giving gifts, to friends and family, to those in need, and to those who have served us well. 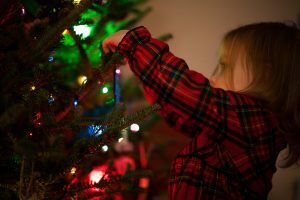 The holiday season is often one where we show appreciation to others, engage in altruistic acts of kindness, and simply try to be a bit more generous, caring, and loving. It is also the bleakest time of the year. Over the next few months, we will be surrounded by darkness. In a time that seems to be occupied with and dominated by negativity, each of us seems to be more and more isolated. With depression and anxiety in the US at the highest levels ever, we can certainly use more optimism, community, and meaningful communication. Where might we find it? You may find what you need at the theatre. To reiterate, the theatre offers many gifts to those who take the time to engage it. Why should we do so? First, consider the facts below. They have been garnered from various publications and reports that were published in 2018. They are all reflective of the condition of those living in the U.S. There are many reasons for the spikes noted above. In a report filed by NBC News, Dr. Laurel Williams, chief of psychiatry at Texas Children’s Hospital talked about some of the reasons for the rise in depression. Theatre, which is unlike any other art form, offers audiences a unique experience. When we go to the theatre, we form a community. Sometimes this community is primarily made up of strangers, and other times, we may know quite a few people in the audience. But rarely does one go to the theatre alone. That means we’re sitting and sharing an experience with a larger group, and, if we go with someone, a smaller group. When we go to the theatre, we are to put away our various media-connected devices, focus on one area, and watch from the darkness of the auditorium a special place bathed in light and occupied by people performing live. Not only are they performing, but they are creating characters on stage who are engaged in solving a problem, tackling an issue, or dealing with the ups and downs that life has to offer. In other words, when we watch a stage play or a musical we are viewing a representation of life, a living, three-dimensional model that represents us. As we react to it, the performers hear us. In live performance, the actors take the energies we give them through our attention and reactions, and use them to support their next moments. In the theatre, there is this give-and-take between actor and audience that does not exist in film, TV, or online. 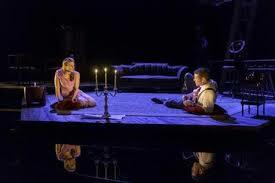 Thus, the community includes audience and actors, as well as often unseen technicians, all engaged with one another for a few hours where the darkened audience is transcended and transformed by the light emanating from the stage. What Dr. Williams alluded to as lacking from so many of our lives, community, is created by the theatre. Broadway creates one type of community, while Off-Broadway creates another. Unique communities are the product of Off-Off-Broadway, touring, regional theatre, elementary through high school theatre, university and college productions, and community theatre shows. In fact, if you talk to anyone who works in the theatre, whether they be a professional or an amateur, they will point to the feeling of community as being one of the best aspects of any show or production. We said at the beginning that theatre offers many gifts. What are some of those gifts? The theatre allows us to unabashedly feel a range of emotions, to simultaneously forget and remember, to go back in time, and to dream. It can challenge us intellectually, teach us about a range of subjects, and entertain us for a few hours. When we go to see a play or musical, we have something new to talk about with those with whom we went. We can share our ideas, emotions, and reactions to the event, as we foster connections between the part of the temporary community of which we were just a member. That after-show drink, snack, or dinner allows us to communicate about what we just saw. And we may continue to do so for years to come. When we are at work, see some friends, or meet someone new, we may share our experiences, thoughts, and emotions connected with that show. But perhaps the most important gift offered by the theatre is one engaged in alone. Contemplation. We can turn that shared event, experience, live performance over and over in our mind, remembering, dissecting, and analyzing it to find comfort in, learn from, or to renew a belief in ourselves, our potential, our goodness, and our caring. In a time that is so negative, the theatre provides us with a chance to be exceedingly positive. And the play or musical does not have to have an upbeat ending for us to take something affirmative from it. Because after we leave the theatre, having gone on a shared journey with a group that has found a common energy and engaged in a unique experience where audience, performers, and technicians have shared in the creative process, we possess a new understanding of and renewed energy for life. And when that happens, anything is possible. Indeed, the theatre offers many gifts. 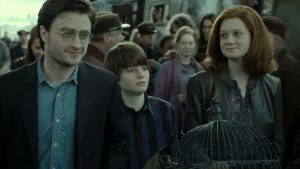 Harry Potter and all the events around the franchise really shaped my childhood. My whole family would make plans to attend midnight book release parties at Barnes and Noble and we would meet up at the movie theatres every time to see Hollywood try to take on the characters well loved. The newest installment in Rowling’s neverending story is coming to Broadway from the West End where Harry Potter and the Cursed Child has been a sold out hit! In Previews: Opening April 22nd! I have to admit that I wasn’t a big fan of the book when it was released. For whatever reason, I didn’t think the stage directions and character dialogue matched what I knew from the original series. It felt like a fanfiction version of the story…and maybe partly because the show’s main conceiver is not J.K Rowling at all. Playwright Jack Thorne used ideas from Rowling to create the work. Even though I was skeptical about the book, I have to admit that I have a “blow my savings” attitude about seeing the production in NYC. If I had tickets, I would be there in a heartbeat in a cape and a big old sorting hat right next to my mom who would be dressed the same way! 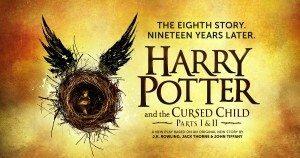 Will you be reliving your childhood by going to see Harry Potter and the Cursed Child? Let us know on Twitter @AllTicketsInc! One of the more than two-dozen top 40 songs in The Marvelous Wonderettes is Aretha Franklin’s mega-hit “RESPECT.” Those who take advantage of the low prices for Marvelous Wonderettes group tickets find themselves caught up in this exciting rendition of Franklin’s anthem. 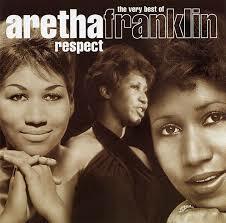 The song, which features a driving beat, is all about a woman demanding a “little respect” from her man. Franklin’s “RESPECT” charted at number one in the US in 1967. It was number two in Canada, number 10 in England and number 11 in Australia. The show ends happily with Ritchie, who’s running the light board for the shows, signals his love for Suzy by blinking the lights. Also at the end, Cindy Lou and Betty Jean mend their friendship and it looks like Missy is going to marry Mr. Lee. Through the no nonsense pop song “RESPECT,” the woman find their way to a happy, musical comedy ending. For group sales, email either janet.robinson@jrgroupsales.com or info@allticketsinc.com or call 212-362-5797 or 800-922-0716. When you contact us, please be sure to ask us about booking your pre-show or after-show group dining or any other group services you may need. Performances of The Marvelous Wonderettes are on Wednesdays at 2:30 p.m. & 8:15 p.m., Thursdays at 8:15 p.m., and Sundays at 3:00 p.m. at the Kirk Theatre, Theatre Row, 410 W. 42nd St., NYC 10036. For further information, please see our Off-Broadway listing for this show. 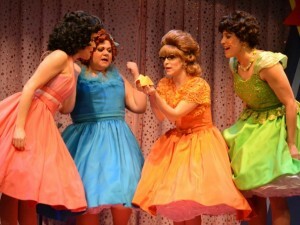 If you’re looking for NYC theatre group tickets to a great show, then check out The Marvelous Wonderettes today. This Off-Broadway musical comedy is as sweet as “Sugartime.” Remember that big hit by The McGuire Sisters, “Sugartime?” It was a massive success in 1958, which is when Act One of The Marvelous Wonderettes takes place. Those who purchase New York City theatre group tickets to The Marvelous Wonderettes enjoy a great evening of entertainment that includes over 30 hit songs from the 50s and 60s. Along with the hits, that just keep on coming, groups love the fact that this Off-Broadway musical comedy has quirky, fun characters, fantastic performances, and a story that anyone and everyone can simply enjoy. 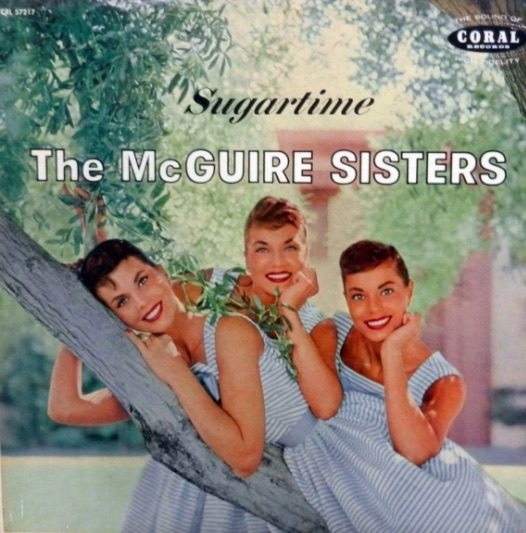 “Sugartime” is one of the first songs sung in The Marvelous Wonderettes. The musical comedy opens with two songs made famous by the Chordettes, “Mr. Sandman” and “Lollipop” and then it goes into “Sugartime.” This trio of hits gets The Marvelous Wonderettes off to a fast, positive start, as each is an upbeat pop song about love featuring wonderful harmonies. The fourth number, “Wedding Bell Blues,” changes the mood and dynamic of the musical for a bit, but not until the optimistic, feel-good energy of this hit musical comedy is well established. Along with the wonderful energy produced by the tempos and lyrics of the three opening numbers, which is topped off by “Sugartime,” there are the amazing harmonies that define this type of music. Those harmonies also tell us something about the four Marvelous Wonderettes and their enduring friendships, which may run into rocky times, but never to the point of destroying the bonds that unite the four women. It’s always sugartime with The Marvelous Wonderettes. When you get NYC theatre group tickets to this sweet musical comedy and experience its energy and good times, you’ll want to go back and see it again. It’s that much fun. For the sweetest NYC theatre group tickets offer around contact All Tickets today. Our Marvelous Wonderettes are just $45.00 per person for groups of eight or more. For group sales, email either janet.robinson@jrgroupsales.com or info@allticketsinc.com or call 212-362-5797 or 800-922-0716. At All Tickets, our personable and professional group sales agents are happy to answer your questions, help set up your group’s entire NYC trip, including booking your pre-show or after-show group dining, and ensure you have a great time. Our Marvelous Wonderttes group tickets have become very popular. January is a great time to plan your next or your first-ever theatre trip to New York. Get your New York City theatre group tickets to The Marvelous Wonderettes now. Everyone in your group will have a great time at this musical comedy, which features a hit pop music score, beautiful harmonies, and engaging characters. For more reasons as to why groups love The Marvelous Wonderettes, please see our blog from last week. Performances of The Marvelous Wonderettes are on Wednesdays at 2:30 p.m. & 8:15 p.m., Thursdays at 8:15 p.m., and Sundays at 3:00 p.m. at the Kirk Theatre, Theatre Row, 410 W. 42nd St., NYC 10036. 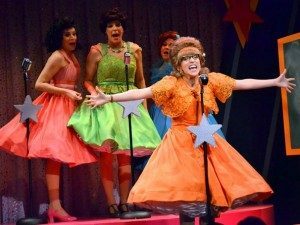 The Marvelous Wonderettes group tickets deal from All Tickets makes it easy and economical for you to get your contingent to this hit Off-Broadway musical comedy. Groups of eight or more have access through All Tickets, Inc. to the low $45.00 per person ticket price. This is a fantastic deal on what is one of the most upbeat, feel-good musicals currently running in New York. All Tickets is a full-service provider for groups, which means whatever your group wants and needs we can supply and at a great price. We can secure your group restaurant, hotel, and transportation reservations, get tickets for other theatre shows, as well as take care of your group’s museum, tour, and special event reservations. The Shangri-Las singing “Leader of the Pack” in 1964, and then The Shangri-Las’ lead singer Mary Weiss performing it many years later at The House of Blues. In The Marvelous Wonderettes, “Leader of the Pack” is sung in Act Two during the 10-year reunion of Springfield High’s 1958 class. It’s Cindy Lou who sings “Leader of the Pack” partly as a commentary on Springfield High School bad boy Billy Ray Patton, who’s suspension resulted in his group being cut as prom entertainment 10 years earlier (Act One) and allowed The Marvelous Wonderettes to snag the gig. Cindy Lou, who had Hollywood aspirations that did not work out after she graduated from high school, is back in Springfield and in love with Billy Ray. In a way, the version sung in The Marvelous Wonderettes is done as a torch song. Be the leader of your pack and contact All Tickets today for your Marvelous Wonderettes group tickets deal, which offers tickets at just $45.00 per person. For group sales, email either janet.robinson@jrgroupsales.com or info@allticketsinc.com or call 212-362-5797 or 800-922-0716. Our Marvelous Wonderettes group tickets deal won’t last forever. This is a great time to plan your next or even your first theatre trip to New York and to book your group tickets to this popular show. Everyone in your group will have a great time at this engaging, funny, and entertaining show. The Off-Broadway musical comedy The Marvelous Wonderettes is a great show for groups. All Tickets Inc. can secure the best Marvelous Wonderettes group tickets for you if your theatre party is comprised of at least eight. If you’re wondering why you should get group tickets to this particular show, we’ve put together 10 very short reasons as to why groups love The Marvelous Wonderettes. Read on and read quickly! Hit music and lyrics- more than 30 songs! Performance of The Marvelous Wonderettes are at the Kirk Theatre, Theatre Row, 410 W. 42nd St., NYC 10036 on Wednesdays at 2:30 p.m. & 8:15 p.m., Thursdays at 8:15 p.m., and Sundays at 3:00 p.m. 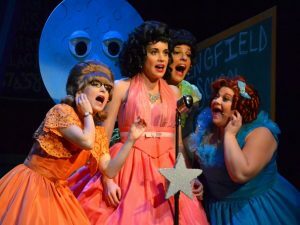 The Marvelous Wonderettes group tickets provide audiences the chance to have a shared experience that is filled with great performances, hit music, and hilarious comedy. There are also very touching and heartfelt moments, engaging interactions with the audience, and an overall uplifting and positive energy that defines the evening’s entertainment. This is the type of show that audiences of all ages love, families can enjoy together, and all groups find to be an entertaining journey from those 1950s teen years to 1960s adulthood. When you purchase your Marvelous Wonderettes group tickets you’ll have a gateway to hearing beautiful, polished, and exciting renditions of some of the biggest hits of the 50s and 60s. 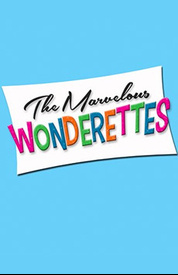 Like the presently running Beautiful and former long-running Mama Mia!, both Broadway shows, the Off-Broadway hit The Marvelous Wonderettes is a top 40 hit-machine. The major difference being that with Marvelous Wonderettes group tickets you’ll have the chance to hear melodies and lyrics written by a range of amazing pop composers and writers and not a few writers or those recorded by one group. 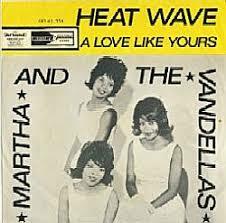 You’ll hear songs like “Heat Wave” written by Brian Holland and Lamont Dozier and first recorded and made a hit by Martha and the Vandellas in 1963, and then covered and once again made a hit in 1975 by Linda Ronstadt, and recorded by Phil Collins in 2010 and “Wedding Bell Blues” written by Laura Nyro and and made a major hit by the 5th Dimension in 1969. Then there’s what is perhaps the best known of all teen tragedy songs, “Leader of the Pack,” written by George “Shadow” Morton, Jeff Barry, and Ellie Greenwich. It jumped to number one on the pop charts in 1964 when The Shangri-Las recorded it. It was their biggest hit. 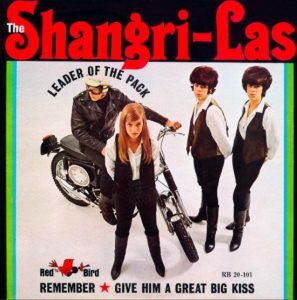 See below a live television version sung by the American girl group The Shangri-Las and featuring singer Robert Goulete mugging on a motorcycle. The clip is from the popular quiz show I’ve Got a Secret. The Marvelous Wonderettes offers over 30 pop hits, all beautifully performed, some soulfully, others comically, that you will simply enjoy. The Marvelous Wonderettes includes plenty of character and situation comedy, as we get to know each of the unique young ladies who make up the group, Betty Jean, Cindy Lou, Missy, and Suzy. Each one has her dreams, which include everything from being named prom queen to one of the girls stealing another’s song to marriage. You don’t have to buy The Marvelous Wonderettes group tickets to participate in our trivia challenges that are upcoming. Some questions are of the name-that-tune variety, where we offer the lyric and you provide the artist and/or song title, while others require that you know something specific regarding the content of the song. Be sure to watch for our theatre trivia focusing on The Marvelous Wonderettes this week. Contact us today to purchase your Marvelous Wonderettes group tickets, which are just $45.00 per person. For group sales, email either janet.robinson@jrgroupsales.com or info@allticketsinc.com or call 212-362-5797 or 800-922-0716. We’ll be happy to answer your questions, help set up your group’s entire evening, including booking your pre-show or after-show group dining, and take care of any other group services you may need. Remember that group numbers for The Marvelous Wonderettes can be as small as eight (8). Performance of The Marvelous Wonderettes are on Wednesdays at 2:30 p.m. & 8:15 p.m., Thursdays at 8:15 p.m., and Sundays at 3:00 p.m. at the Kirk Theatre, Theatre Row, 410 W. 42nd St., NYC 10036. Call or email us today for the ultimate Marvelous Wonderettes group tickets experience.